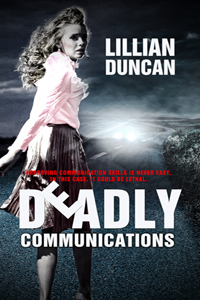 I”m so excited to announce that my latest release–DEADLY COMMUNICATIONS–will be out sometime today at most of your favorite online bookstores! Deadly Communications is a new novella mystery series that features Maven Morris, a speech-language pathologist (better known as an SLP) who gets a little too involved in her client’s life. In Deadly Communications, the first in the series, Maven is struggling to cope with several life-changing events in her life. But, in fact, she’s not coping well at all! Lizzie, her well-meaning friend, decides it’s time to step in and help…and that’s when all the trouble starts! Improving communication skills is never easy. In this case, it could be murder! Maven Morris is a speech-language pathologist on medical leave–or as she likes to put it: out to pasture. When she’s offered a lucrative position by one of the community’s most powerful men to help his traumatic-brain-injured daughter improve her communication skills, Maven discovers deadly secrets behind the iron gates of the mansion. As a speech pathologist for more than 30 years, this book was especially fun for me to write. I hadn’t planned on writing a story, let alone a series featuring a crime-fighting speech-language pathologist, but three things happened within a few days of each other to inspire DEADLY COMMUNICATIONS. First, my brother asked why I didn’t write a story featuring a speech-language pathologist. To which my answer was it would be difficult to come up with a suspense story with an SLP as the main character. After all, I know how boring my life is! I couldn’t even imagine how an SLP could get involved in a mystery. Secondly, a few days later I was talking with someone whose daughter had been involved in a serious car accident and was now experiencing communication difficulties due to a traumatic brain injury. Thirdly, as writers are prone to do, I was sitting daydreaming and had a vision of a young woman running through the woods and then into ongoing traffic on a highway..
My writer mind took over from there and DEADLY COMMUNICATIONS was born! To celebrate the release of DEADLY COMMUNICATIONS, I’m giving away an e-copy of the novella. 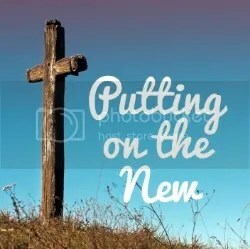 All you need to do is leave a comment! The winner will be picked next Friday–July 25th. Don’t know what to say? Here’s a few questions that you can answer: What’s some other jobs that might seem like you couldn’t write a mystery about? What do you think an SLP does? What’s your job and how could you use that job as part of a mystery? Since only two of you entered the contest, I refuse to make a choice. That means both of you get a free copy of Deadly Communications!! Please send me a note at my email address so I can send you a copy. My email address is lduncan512@aol.com. Thanks for entering. Some of my best stories ideas come from a what if conversation. This sounds like another great one. Please enter me into your draw. Wow, Rose! That’s got the makings of a great story. And yes, you’re entered. Good luck! I think it would be hard to write a mystery about a plumber. But then there was a murder in our old house in Cape Coral and there was a pipe wrench at the scene of the crime!!!! It was my husband’s profession. Mine was being a marriage and family therapist and since people told me so many secrets, I can see them trying to hurt that person. Can’t recall what other comment you wanted. But I did love Until Death Do Us Part so I trust you will enter me in the contest for next Friday.